The move to PSG has not quite gone as per plan for Neymar, who is out with a big injury yet again. We examine how things have taken a turn for the worse for him. The world of football stood still on the August 4, 2017 as people gasped in disbelief and bated excitement when Paris Saint-Germain triggered Neymar’s €222 million release clause, making him by far the most expensive signing in the history of the sport. 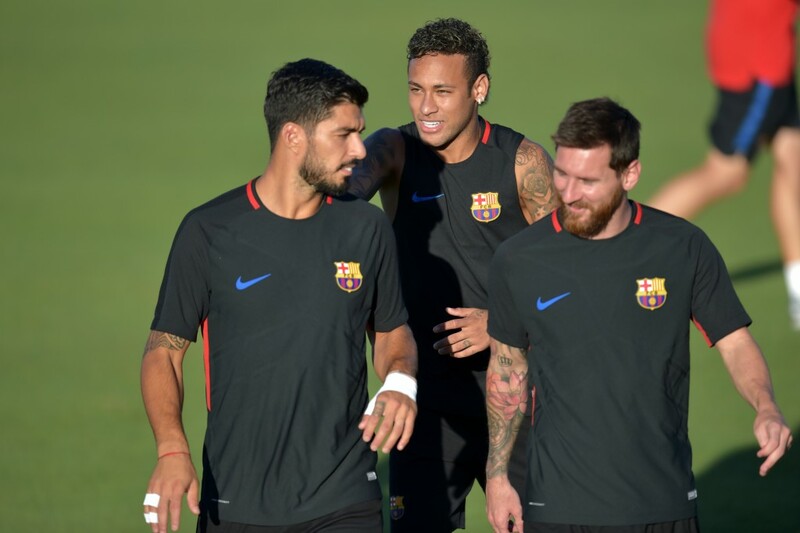 Barcelona were shell-shocked as the events panned out after a month of drama – they had lost one of their biggest stars and the famous MSN trident met an unfortunate end. “I wanted a new challenge,” declared Neymar in one of his very first interviews as a PSG player. Almost a year and a half down the line, and you can argue that Neymar would’ve been better off had he listened to his father. While Neymar began life in the French capital on a high, scoring and raking up assists left, right and centre, the tables would turn soon enough. PSG, in the meantime, spent another €180 million to bring the hottest and youngest prospect in football in Kylian Mbappe and built a formidable trio of Neymar, Edinson Cavani and Mbappe. 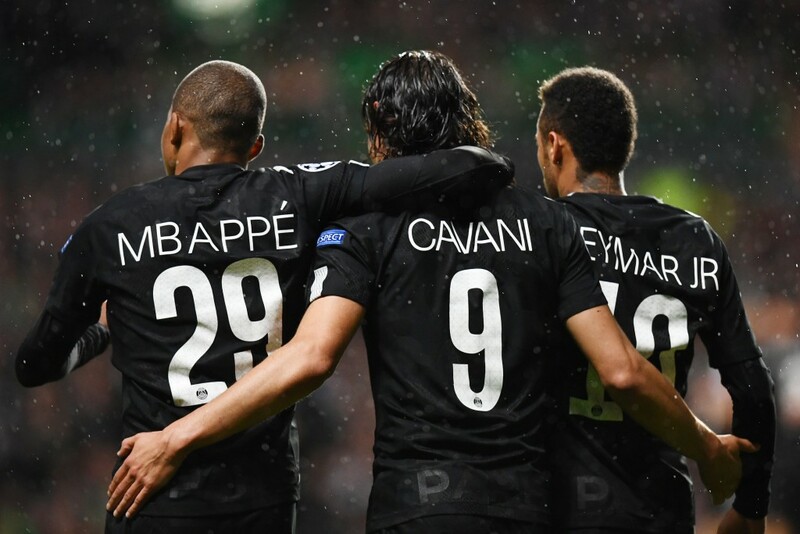 The three would soon start tearing apart domestic opposition, often highlighting the immense gulf in quality between PSG and the rest of the French clubs, who did not stand any chance if we’re being honest. Neymar became PSG’s talisman and wowed supporters and the oppositions alike with some absolutely unbelievable moves. He was even in contention for the European Golden Boot for a long while until things started taking a turn for the worse. By December, there were considerable reports in the Parisian media about the supposed rift between Neymar and Cavani, who led the PSG attack after Zlatan Ibrahimovic’s departure and was a fan favourite at Parc des Princes. This clash came to the fore infamously in a game where Neymar and Cavani openly argued about a penalty and the crowd started booing Neymar. Despite this, PSG steamrolled in Ligue 1 effortlessly, overshadowing anyone and everyone in their way and adhering to the general perception in the footballing community that Ligue 1, with all due respect is a one-horse league and PSG’s dominance in it is taken for granted. The good run would end soon as PSG drew Real Madrid in the Round of 16 of the Champions League knockout stages. This encounter would give everyone a glimpse of exactly how good the PSG side actually were after the heavy financial investment and would also provide Neymar the chance to square up against another behemoth in the sport, Cristiano Ronaldo. In the first leg away at the Santiago Bernabeu, the defending champions thumped PSG 3-1. Neymar wasn’t nearly impressive enough as Ronaldo stole the headlines with a decisive brace. But, PSG had another ninety minutes ahead of them to make things right. And this is the point where the story goes from bad to worse and sad. 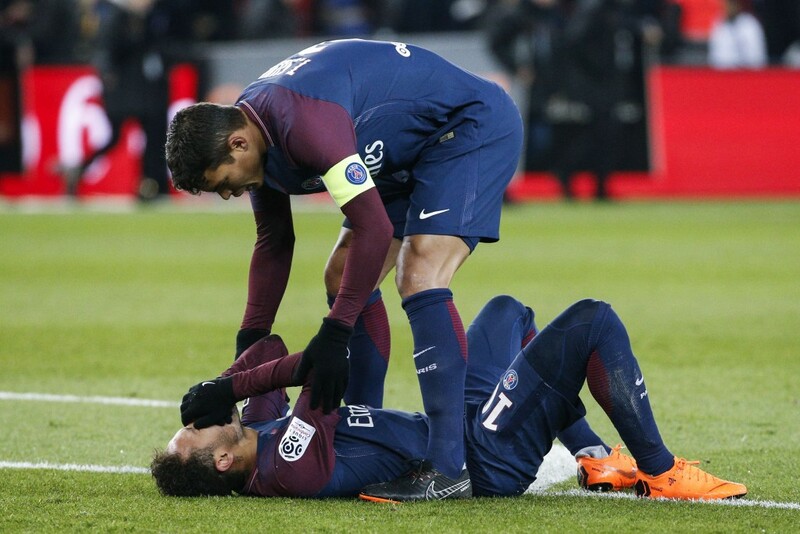 Neymar injured himself after a tangle against Marseille defender Bouna Sarr on February 26, merely a week before the second leg and had to be stretchered off the field. The Brazilian’s first season as the protagonist of a major European club met a sad end as he was ruled out for the rest of the campaign. The 2018 FIFA World Cup came and went as quickly as Neymar would have his literal ‘fall from grace’ on the biggest stage in the world of football. Over the subsequent summer transfer window, countless reports would surface as to how Neymar’s entourage thought moving to PSG was a huge mistake and that the Brazilian was eyeing up a return to the east coast of Spain where he started his European career. PSG handed the reins of the team to Thomas Tuchel and made the Champions League a priority once again for the season. 2018-19 started in the same way as the previous one had for Neymar and his colleagues. Les Parisiens got off to a high flying start once again and Neymar would assume centre stage like routine. Tragedy would hit a second time in as many years, however, as an emotional Neymar wished for a new metatarsal on his birthday after suffering another injury in the same region as last season’s, effectively ruling him out for two months which includes both legs against Manchester United in the Round of 16 stage, a phase Neymar is yet to go past with his new outfit. This puts a lot of things into perspective. When he left Barcelona, Neymar was easily among the top five players in the world and had the potential to claim the crown of the best in the world once the Messi-Ronaldo era would phase out. Neymar however, left for PSG in a premature bid to become the focal point of a team, something which he couldn’t do at Barcelona in the presence of Lionel Messi. The temptation of winning the Ballon d’Or as the leader of PSG must have been a decisive factor in his mind, according to reports and rumours from his entourage, thus prompting him to leave the safety and comfort of Barcelona and go out and risk a new venture with the French champions. Judging by the events so far, Neymar has failed in that attempt. Not only has he been immensely unfortunate with fitness issues, the perception of holding his performances and judging it on the same standards as that of other elite players has taken a hit due to the nature of the domestic league he is plying his trade in now. 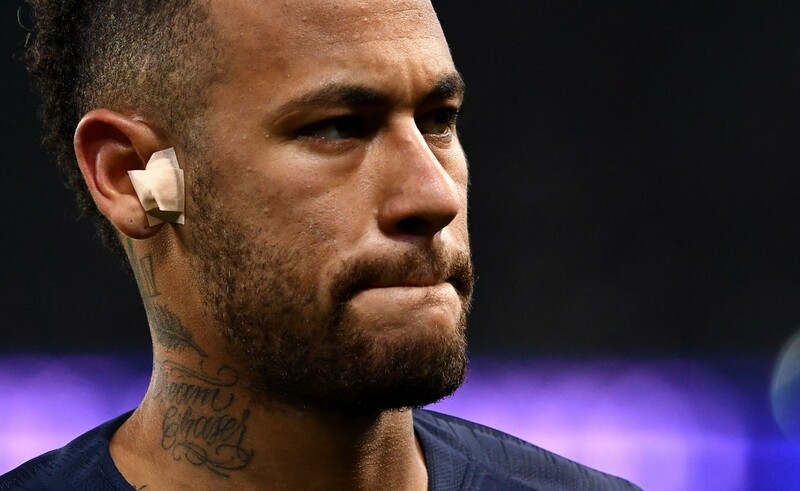 Neymar has fallen behind in the pecking order in the list of the world’s best players owing to that reason and his significant absence in the second half of last season in addition the poor show at the World Cup. PSG chairman Nasser Al-Khelaifi has made winning the Champions League a priority over the last few seasons, considering the significant investment the state of Qatar has made in the Parisian football club. Paris Saint-Germain are yet to mount a serious title challenge in the Champions League despite having the squad and the resources to do so. Considering the immense form their opponents Manchester United have been in and the absence of Neymar, it remains to be seen if things get better anytime soon for the club or for the player.